This small business is one I am so damn excited to get behind and scream about from the rooftops. Why? Read on. 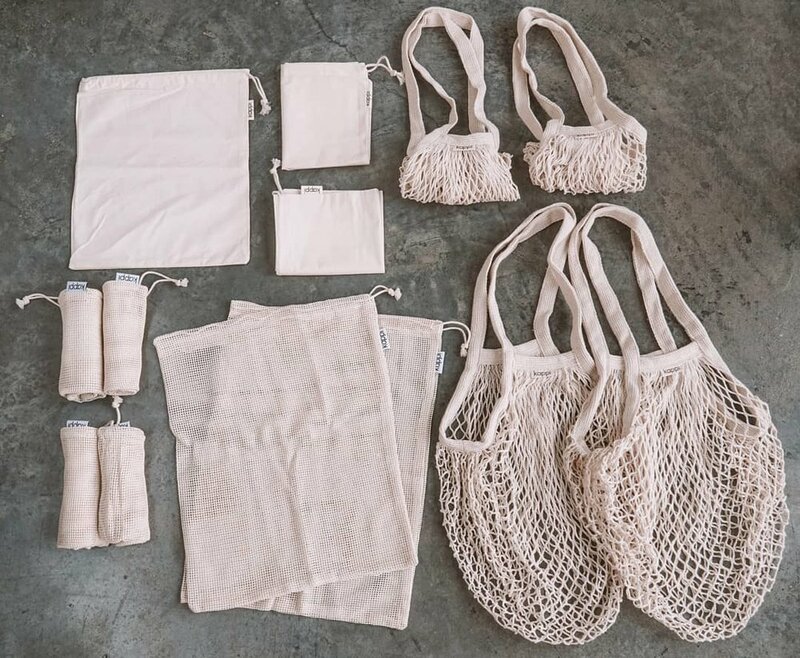 Ever since I first discovered the realm of ethical fashion and the minimalism, natural living, zero waste, mindfulness rabbit hole that comes with it I have struggled to find a one stop shop for reusables that were what I considered an affordable price for something that is going to last me years, didn't look drab or WERE PACKAGED IN PLASTIC. Shortly after the first season of War on Waste was screened in Australia, Kappi was born. For those who aren’t living in Australia, it’s a documentary series that showcases the true scale of the Australian waste epidemic. It’s seriously powerful and incredibly eye opening. Paying $50-70 for a reusable drink bottle, or over $50 for a reusable takeaway cup doesn’t make sustainability something that is available to the masses, which is where Kappi comes in. They offer swap-outs to some of the worst single-use plastic contributors that are affordable, especially when you think about how long they will last. Think reusables bags, straws, cutlery sets (my holy grail), silicone ziplock bags and bamboo toothbrushes. All of their items are designed in Australia and made overseas. We go into more detail about where they were made and how they source each thing in my interview with the founders Emily and Freddie, which you can read below. The thing that really sealed the deal for me with Kappi wasn’t their beautiful reusables, it was instead their intent to help cafes become plastic straw free with their Short Straw Campaign that they ran throughout Plastic Free July. Busy cafes can use between 50,000-100,000 plastic straws a year. So throughout July they are ran a Short Straw Campaign where they gave 100 FREE reusable KAPPI stainless steel straws to any cafe that signed up and agreed to stop using single-use plastic free straws. The thing is, if only 10 cafes signed up, it still meant that they could potentially be removing 1 million plastic straws from the waste stream annually. Which is a crazy amount when you step back and do the maths. So, if you've been on the hunt for some reusables that don't cost your hip pocket, style and the earth, I recommend jumping across to Kappi's website or Instagram and checking them out. As for me, I know what I'll be getting my family and friends for Christmas. An interview with Emily & Freddie Carlstrom, the founders of Kappi. What made you start Kappi? Short or long version? The short version is simple - the first season of War on Waste opened our eyes to the waste epidemic in Australia for the first time. We were so moved and horrified by what we saw that we immediately decided to do something about it, and so Kappi was born. The long version is as follows: Throughout 2017 we were working on bringing a range of sustainably sourced and manufactured yoga goods to the market - think sustainably-sourced cork yoga mats with natural tree rubber bases, cork yoga blocks, etc. This was our first venture into the ecommerce world and taught us a lot about communication, logistics and developing a product from idea inception to market implementation. We started watching the War on Waste just after we placed our first order of yoga products. After that first episode, we both looked at each other in silence and almost in unison said something along the lines of ‘we can do something about this’. Using the logistics and manufacturing knowhow we had developed over the past six-months we got to work straight away and in three-weeks had our first products to market. Since then, we have grown to realise our true passion lies with Kappi and phased out our yoga business after selling through our initial run of products. There have been many challenges along the way, however by far the biggest challenge we have faced is the use of plastic throughout the supply chain. After our first production order came individually packaged in poly bags, feeling very naive and like complete hypocrites we vowed to never make that mistake again. From then on we have worked closely with our suppliers to ensure plastic waste is minimised throughout the supply chain. During our initial research for Kappi we were constantly coming across reusable products that were packaged in plastic! 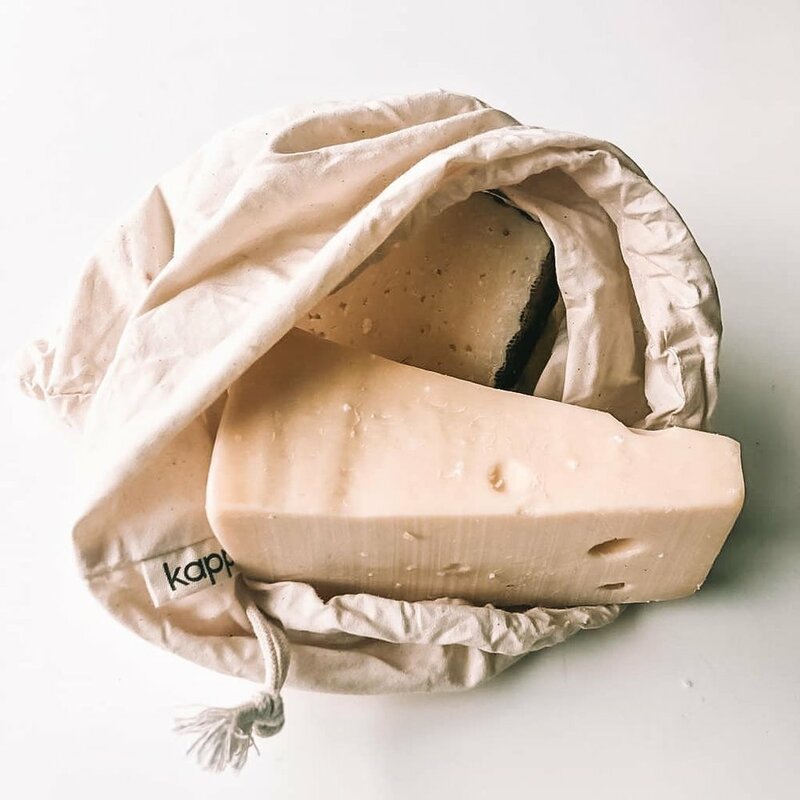 We couldn’t believe it, and so at Kappi we make a conscious choice to not use any plastic and where possible use minimal packaging (biodegradable masking tape, recyclable cardboard boxes and satchels) ensuring that the product arrives to the customer with as little waste as possible. Can you tell us more about your Short Straw Campaign? What made you decide to start this? The Short Straw Campaign is pretty simple. For the whole of Plastic Free July, we’re giving participating cafes 100 free reusable stainless-steel straws. Alongside the 100 free straws, the cafes are given a point-of-sales kit of 40 straws to sell. One-hundred percent of the proceeds from the retail straws are then used to fund the purchase of straws for future participating cafes. It’s a pay-it-forward kind of model. The campaign was born out of pure frustration. At the time we had been struggling to sell our straws wholesale to cafes despite experimenting with different approaches and price points. Cafes either weren’t interested in straying from the plastic straw norm, or they couldn’t justify the cost - the perceived barriers to entry for cafes was too high. So we thought to each other, what if we were to remove the barriers to entry entirely? And so, we did. Through the Short Straw Campaign, we hope to eliminate millions of straws from entering the waste stream annually. Busy cafes can go through 50,000-100,000 plastic straws per year. With 8 cafes already participating in the campaign, we are well on our way towards achieving our goal of removing at least 1,000,000 straws from the waste-stream on an annual basis. Within the ethical fashion community, there's a big question that we ask which is 'who made my clothes?'. In the scope of Kappi, who made your reusables? Can you tell us a bit about them? All of our products are designed here in Australia by us and then made at carefully vetted manufacturers in China. We work with them very closely from inception to final product design with quality and sustainability as one of our highest priorities. We spent a significant amount of time looking into having our products manufactured in Australia, however, the production costs and MOQs were far too high for a fledgeling company to remain competitive for long. Because we work so closely with our manufacturers we are able to have a positive impact on the environmental cost of bringing our products to market. We are proud to say that there is very little waste in our supply chain. Our products, now, arrive unwrapped or wrapped in recycled newspaper with no plastic in sight. It hasn’t always been easy dealing with international manufacturers. While pollution reduction is a large focus of the Chinese industry, reducing plastic waste is not. It took us a long time to communicate our values to prospective manufacturers, and even longer to find those willing to align themselves with our values. However, the effort has been worth it as we are now partnered with several fantastic manufacturers who are fully aligned with our values. With our mission statement firmly in place, every business decision we make, from product development to marketing and collaborations is run through the above filter. If it doesn’t belong, or it doesn’t feel right, we simply won’t pursue it. What is something others wouldn't know about starting a sustainable business that you think they should? Suppliers and manufacturers will initially tell you anything to get your business. It’s important to ask the hard questions and ensure your product needs are communicated clearly and effectively. The manufacturing process is just as much about developing relationships as it is about product development. Just do it. Take that first step towards turning your idea into reality otherwise you’ll drive yourself crazy going around in circles convincing yourself of all the reasons you shouldn’t do it - it’s been done before; I have no idea what I’m doing; what if I fail? The truth is, no one has any idea what they’re doing when they first start out. You will have failures, and you will have victories - not all in equal measure. However, most of all you will learn. A lot. The secret is to just start. Where do you envision Kappi in the future? Our goal is to be the one-stop shop for sustainable, reusable alternatives to the worst offending single-use plastics as well as a source of education and inspiration to help people minimise the environmental footprint of their everyday lives. The issue of plastic waste and the long-term effects on our health of ingesting plastic additives has only just arrived in mainstream consciousness. We believe people are just starting to get it. However we all have a lot to learn, and a long way to go towards changing the industry and consumer behaviour and we intend for Kappi to be part of the solution. Freddie: On a daily basis I’m constantly inspired by my wife, Emily - all-round action woman, incredible fur-mum, soon to be naturopath and eco-warrior. I tend to be a dreamer so she keeps me grounded in reality and focused on the present. Emily: Not wanting to sound repetitive but my husband Freddie inspires me every day! We wake up together every morning, meditate and then discuss our goals for the day ahead. I think that we compliment each other so well because we are very different and are able to learn a lot from one another but at the same time, we share the same life values. I truly believe that sharing values is key to the success of any partnership - whether that is romantic, business or a friendship. On a broader level, we’re both inspired by incredible filmmakers and activists such as Craig Leeson (A Plastic Ocean) and Karian Holden (Blue) whose films are delivering a powerful message of education to the masses. We count Craig Reucassel (War on Waste) in that company for helping kick-start this journey for us and for many others. We draw inspiration from incredible scientists and conservationists such as Jane Goodall, Valerie Taylor and Sylvia Earle whose breadth of experience has allowed them to see first-hand the devastation our actions are having on this planet. We sure do! Freddie works full-time as an engineer and I am studying Naturopathy full-time so we rely on routines to make sure we’re effective with our time. We get up at 5.30am every morning, meditate, have a coffee in bed and chat about the day ahead. We aim for a solid 1.5 hrs of work in the morning and often that’s when we aim to tackle our most creative work as that’s when we are thinking the clearest. When we first started Kappi we were getting up at 4.30am every morning to work before we started our real work. We were getting by on 5-6 hours of sleep a night for the first couple of months and were heading for a pretty serious case of burnout. Then one weekend we listened to an incredible podcast (Episode #1109 of the Joe Rogan podcast) where Joe Rogan interviewed Dr Matthew Walker, a world-renowned sleep scientist. We won’t spoil it for you, but it completely changed our perspective on the importance of sleep. Now one of our top priorities is to ensure we are getting at least 7-8 hrs of sleep a night - it’s a non-negotiable for us. One of the most powerful books we’ve both read this year is a novel called The Great Alone by Kristin Hannah. It’s a journey of discovery, suffering, beauty and pain - not all in equal measure. Though at its heart it’s a book about what’s truly important in life. A concept frequently on our minds as we talk about taking that scary leap from the security of a 9-to-5 to a life of small-business, freedom and uncertainty. Mission Blue, a Netflix film detailing the life of Dr. Sylvia Earle, a renowned marine biologist and environmentalist. It follows her current journey as she sheds light on the plight of the world’s oceans. Before watching Mission Blue, Fred and I were both pescatarian. However, seeing the devastation being wrought upon the oceans every day from overfishing, pollution, marine debris and by-catch made us realise that the ocean and it’s inhabitants weren’t the endless source of sustenance we once believed it to be. Our perspective on the ocean changed from seeing it as a place that provided for humanity, to a place that needed to be cared for by humanity. We’ve been plant-based from that point on. Kate Nelson (@plasticfreemermaid) is someone who’s inspired us for a really long time! 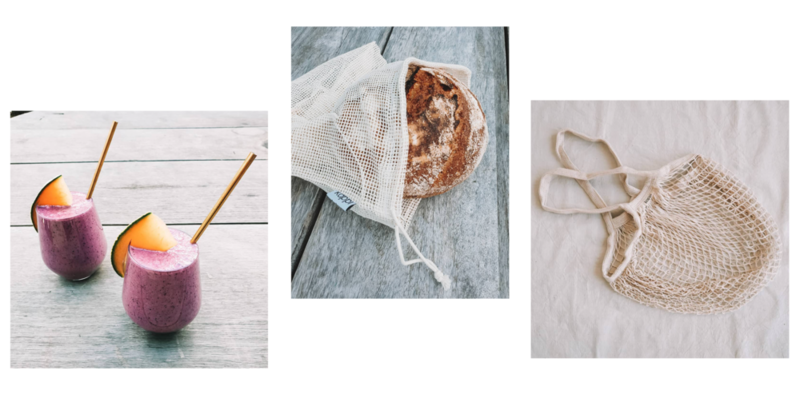 Kate has been plastic free for 10 years and strongly advocates for the environment and ocean through her presence on social media and her blog. We are also constantly amazed and inspired by other brands that have a strong focus on sustainability and ethical practices. These are some of our favourites - Patagonia, Ahimsa Collective, The Dirt Company and Outland Denim to name a few.